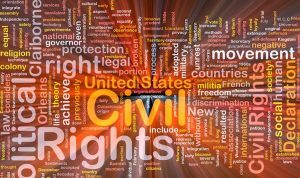 The attorneys at The Law Offices of Keith L. Howard, PLLC represent clients in civil rights matters in North Carolina, South Carolina, Washington, D.C., and Maryland. The attorneys at The Law Offices of Keith L. Howard, PLLC advocate for individuals and groups that have been discriminated against by governmental actors (i.e., public school employees, police officers, federal government employees, etc.) through lawsuits and settlement negotiations. Equal protection violations by government officials. If you believe your civil rights have been violated, call us today at 1-800-341-3931 or complete an initial consultation form.